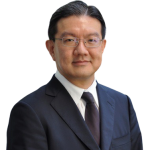 Dr. Lee Yik Voon is a senior advisor for BGA in Singapore, where he focuses on healthcare. Dr. Lee is a family physician and general practitioner with more than 30 years experience in clinical work. He currently runs his own private medical practice and is actively involved in many working committees of Singapore’s Ministry of Health. Dr. Lee also serves as the secretary-general of the Medical Association of Southeast Asian Nations (MASEAN). His past experience included working as regional medical adviser for two major multinational pharmaceutical companies. Dr. Lee believes that transformation of healthcare will benefit his patients. He is actively educating his patients to empower them to make the right choices in their health and wellness.